The water we need to live, which we drink or use to grow food, is that which has flown to the ground to our reservoirs: the water table. And this water is in danger. The stores are not endless: they are running out. Fresh water represents 3% of our planet’s total water. It is a precious, rare and essential resource. For humankind and biodiversity’s sake, water must be preserved. And there is a solution: trees. All over the world, pioneers are working. With us, they are planting the trees that will save them in the future. Why trees? Because it’s forests that give us our water. Forests have a special power: they help the ground retain water. Thus, most of the accessible fresh water is provided by underground reserves that are supplied by forests. This is one of the steps in the water cycle. 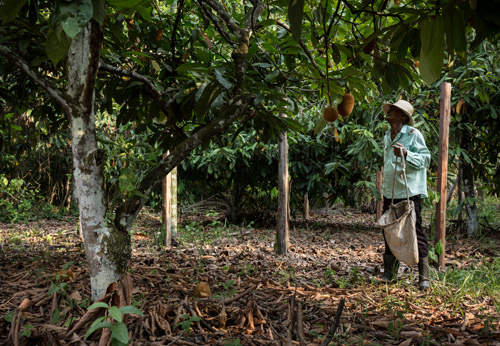 Without forests, the soil is less well-protected. It is not held in place or aerated as it would be by tree roots. It becomes more compact: unable to absorb water, it suffers from erosion, and the water table struggles to replenish itself and runs out. To maintain the balance of the water cycle, rainwater must not remain on the surface, but must rather be absorbed by the soil: this is how it reaches the water table, our fresh water reserves. And for the water table to be resupplied, the soil must be porous. Otherwise, the water will be "lost", forming into streams on the surface and trickling away. This is the important role that trees play in the water cycle: thanks to their roots, they hold the soil together and make it permeable. The water can therefore flow into the underground reserves. In addition to direct water preservations, forests are believed to increase rainfall and prevent the need to draw from the reserves. They also provide natural water purification. We have chosen to act on the African continent with the "Great Green Wall" project to preserve water resources and local communities. 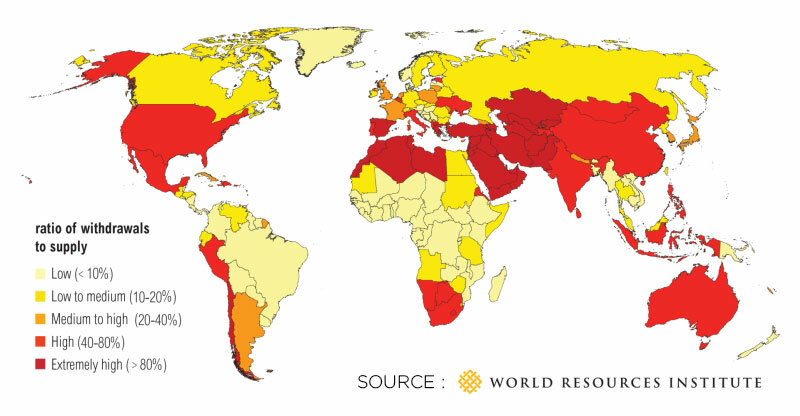 As it advances, the desert poses a threat to life, by causing water shortages, food crises, health crises, a loss of biodiversity, extreme poverty, climate change, and more. 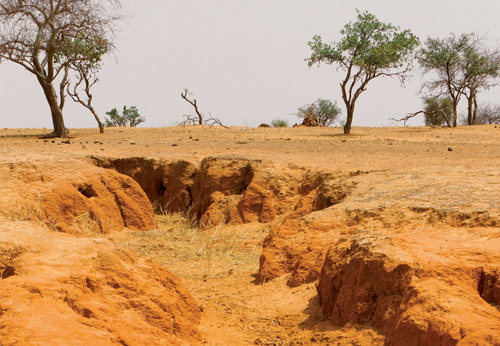 While there are solutions to prevent desertification by adapting local usages, planting trees serves to form a natural belt that prevents the desert from advancing, preserving water resources and creating an environment that is more favourable to life. This is one of the most ambitious initiatives that Klorane Botanical Foundation is involved in, and has been recognized by UNESCO. The challenge is a significant one: to plant a new forest stretching all the way across the African continent to halt the desert’s spread. Today, this mission, carried out in collaboration with 11 African countries, is underway: over 70,000 desert date trees have already been planted, and over 40,000 hectares of desert has been revegetated. On this territory, the desert is retreating, the soil can once again hold water, and life is returning. 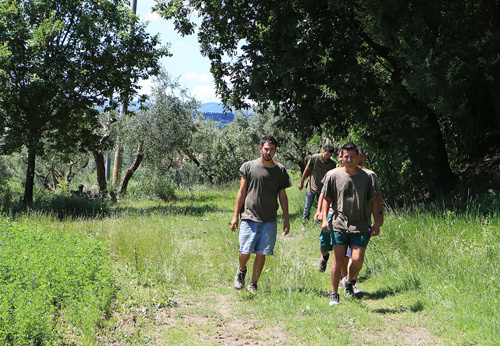 The special feature of this program is that it combines the protection of biodiversity with a humanist vision. The local population experiences its benefits in their daily lives, in the form of an improved food supply and an additional source of income. Many forests have been lost, and deforestation is accelerating and regularly setting new records. Since its founding, Klorane Botanical Foundation has also been committed to protecting water. 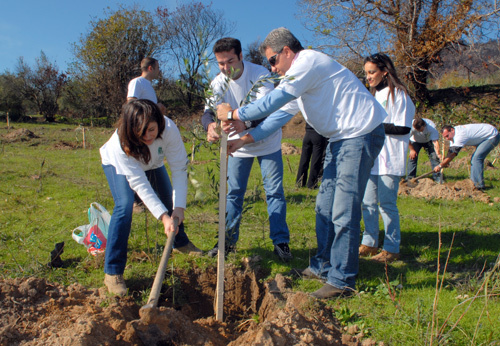 Our foundation, in collaboration with many international institutions, has planted and saved thousands of trees to preserve water, soil and biodiversity. Initiatives are being launched all over the world: individuals, communities, regions and even some nations are deciding to plant, reforest and protect plant species. And we play an active role in these initiatives: in Amazonia, the Comoros, Greece, Italy and several African countries, all of these trees help maintain the water cycle. Their roots are aerating the soil as we speak. And we plan to plant even more in the next few years! 80% of the original forests have been cut down or damaged. Humans destroy tens of millions of hectares of forest each year. Most major cities in developing countries depend on forests for their water. Imagine a community that has discovered, in the last 8 years, how to sustainably live off the forest, and that has decided to share its agroforestry practices with another, less experienced community: a new way to grow crops that does not destroy the forest they depend on, but instead helps it thrive. In collaboration with a local NGO, Instituto Beraca, we have planted 5,000 trees, including Cupuaçu and other species. 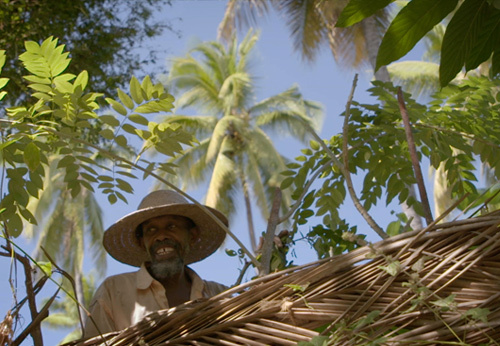 On the island of Anjouan in the Comoros, trees are disappearing rapidly. Ylang-Ylang distillation is one of the major causes of this deforestation. We have provided our support to the association Initiative Développement to increase the sustainability of this flower’s exploitation. Local industry players are regularly trained in best practices for forest exploitation and equipped with distillation units that consume less wood. After major fires destroyed thousands of hectares of olive trees in Greece, we gave 10,000 seedlings to a community in the Peloponnese that had been especially affected by the catastrophe. These olive trees, grown using organic farming practices, now produce delicious oil and have breathed new life into the community. In Italy, olive trees don’t just save water, they save people, too! San Patrignano is a community that helps its residents break their addictions and reintegrate by learning a different way to live. Klorane Botanical Foundation has chosen to assist in its agricultural projects by planting 6 new plots of olive trees. They now produce oil which is sold to increase the community’s financial independence! They are essential for water, but that’s not all. Forests are sources of food, and also allow us to clothe ourselves, heat our homes, produce energy, and even treat illnesses. They also play another crucial role: they provide oxygen (they are the planet’s lungs) and store CO2, which disrupts our climate. They must be protected not only to preserve water, but for all of these other reasons as well. Our lives depend on it.